Caught this 37 lb Mahi Mahi and a 461 lbs Marlin. Just got back from a fantastic trip to Hawaii. Caught this 37 lb Mahi Mahi and a 461 lbs Marlin. I went fishing with Mike Christopher, who is the Boone & Crockett record holder for the biggest Buck in Ontario – great guide & great guy! I caught the biggest Marlin he has ever boated. 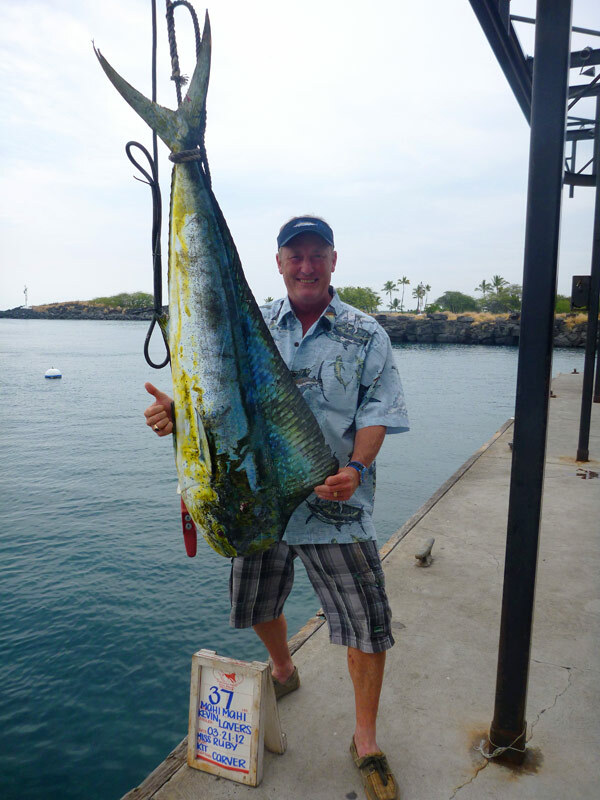 Went out the next day and caught the biggest Mahi Mahi Mike had ever boated in his 20 years in Hawaii. It was my best fishing trip so far……. 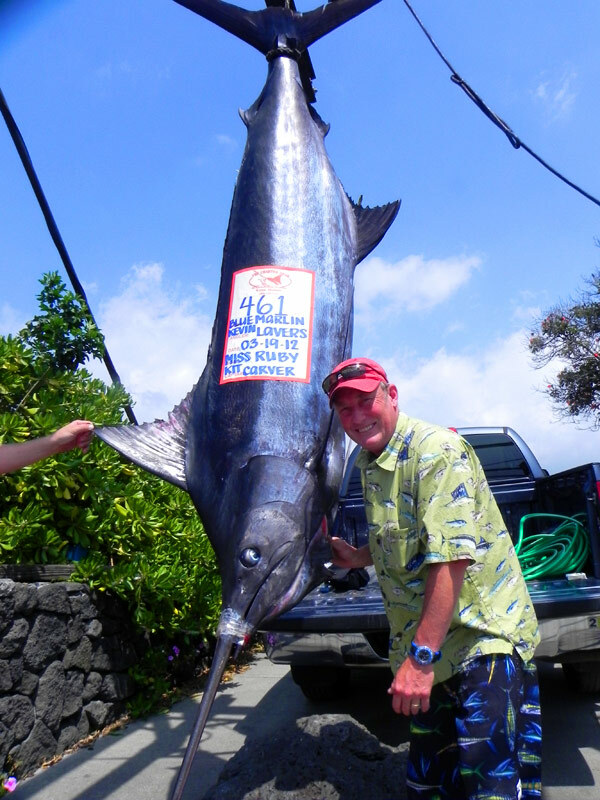 Home > Fishing Reports > Caught this 37 lb Mahi Mahi and a 461 lbs Marlin.